Offering mild protection from water, this model is a great way to store your wet swim suit or towel. The MARCHWAY Floating is a cylindrically shaped roll-top dry bag that offers modest protection against water. It's convenient to carry wet bathing suits back from the beach and features two removable straps that serve as backpack straps so you can carry all of your toys in one go. It is made of a thick material that is resistant to scratches and will hold up to your little one dragging it across the beach. The major downside of this model is its lack of waterproofness. While it offers sufficient protection from splashes, brief submersions leave rivulets running down the interior walls. Its thick construction offers durability but makes it too bulky to store inside a larger bag. For an equally family-friendly but significantly more waterproof model, check out the Sea to Summit Big River, which won our Best Bang For Your Buck award for its high quality and low price. For the more serious water person, our Editors' Choice, the Watershed Colorado Duffel is entirely impervious to water. The MARCHWAY Floating is made out of ripstop tarpaulin and has a 20-liter volume. It has a 9.2-inch diameter and is 22-inches tall. Removable webbing straps can be configured to carry it either crossbody or like a backpack. It is made out of durable waterproof material but the roll-top is prone to leaking with prolonged exposure to water. The MARCHWAY neatly tucks onto the front of a paddleboard. 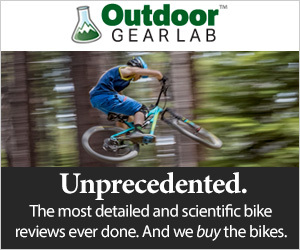 The purpose of these products is to keep your gear dry and, unfortunately, this model put forth disappointing results in this metric. It provides sufficient protection from splashes and is a good way to keep soggy clothes isolated from the back of your car, but any ongoing exposure to water leaves the inner contents soggy. Our testing towel was moderately wet after this product was submerged for 30-seconds and lots of air bubbles could be seen escaping. Dragging it behind a paddleboard resulted in a completely soaked towel. The Floating Waterproof is almost identical to the Earth Pak Original and the Skog A Kust DrySak 20L, which all received equally average scores in this metric. Thick material makes this model resistant to scratches, but not completely resistant to water. For a significant upgrade in waterproofness and only a moderate increase in price, the Sea To Summit Big River brought home a much higher score in this metric. For absolute watertight coverage, the Watershed Colorado Duffel and the YETI Panga 50 will guarantee dry gear in any weather condition. The Floating Waterproof is a flat bottom cylinder. It stands upright on its own which makes it easy to pack but its taller than wide nature of the requires stacking contents. The webbing backpack straps same style as the Earth Pak and the Skog A Kust DrySak 20L, but instead of a single strap, MARCHWAY offers dual straps so you can use it as a backpack. The flat bottom allows this model to stand alone and makes it easy to pack. The most remarkable feature about the Floating Waterproof is the ability to carry it like a backpack. While these straps are highly convenient for carrying the bag over short distances, they are insufficient from going farther than from the car to the beach. The MARCHWAY also sports four plastic D rings held on by webbing. Two are located at the roll top and two are near the bottom on the back. These D-rings are the attachment points for the backpack straps. For a more durable attachment system, the Sea to Summit Big River has four sewn lash loops that serve as stronger anchors. The MARCHWAY closes using a standard roll-top design which is, unfortunately, a bit leaky. The SealLine Black Canyon Boundary Pack features a reinforced roll-top that creates a much better seal against the water. Removable webbing backpack straps make it really convenient to carry to and from the car. The main body of this model is made of durable ripstop tarpaulin which makes it resistant to scratches and abrasions. The outer body of the product sustained no signs of damage throughout our testing. The plastic D rings, on the other hand, are made of thin plastic and are prone to breaking. The MARCHWAY Floating Waterproof, Sak Gear, and Earth Pak Waterproof have almost identical construction with a few minor differences. While this product may be durable enough for little Jonny to wield at the beach, big kid adventure require more serious protection. The YETI Panga is the king of durability and can withstand the rough handling of severe adventuring. The Sea to Summit Big River also scored a tad better in this metric and provides stronger protection from water and a similar price point. The Floating Waterproof is the perfect place to store wet bathing suits on the way home from the beach or your teenager's sweaty jersey after soccer practice. It's inexpensive and easy to clean out with the hose when you get home. It may be good for casual use but don't expect it to protect electronics of other expensive hydrophobic items. MARCHWAY makes similar models in 5, 10, 30, and 40-liter sizes. All of these models are available in twelve unique color options. The low price of $17 makes it the least expensive model we tested. Its dual straps and low cost make it a better buy than similar models, but when it comes to waterproofness, you get what you pay for. The MARCHWAY Floating Waterproof is a good family beach bag but offers minimal protection to prolonged water exposure. It might be just what you need to store your kids swim trunks but if you're into more serious water sports, try one of the hardier models instead.